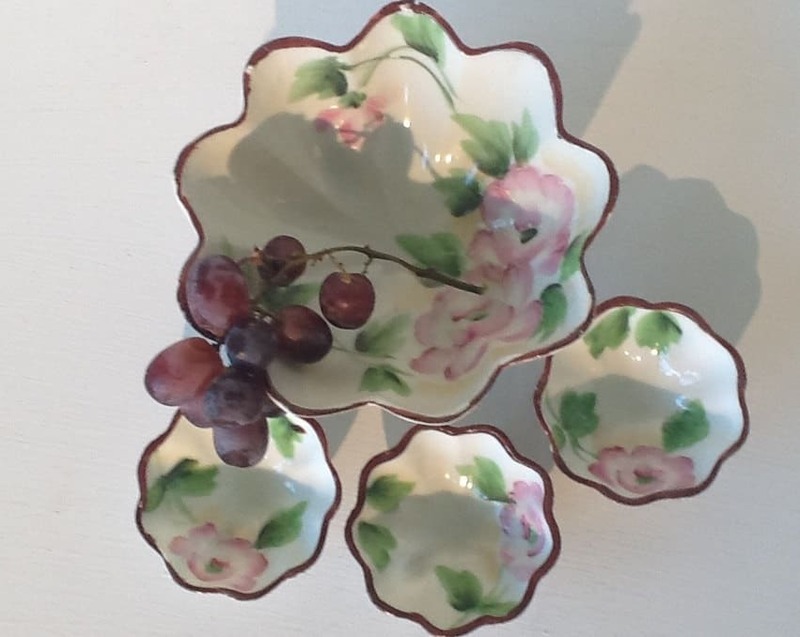 A sweet set of 4 bowls that includes a large lotus bowl and three small bowls. These pedestal bowls all have three feet that they stand on, all four have pedestal feet that are intact and they stand as intended. 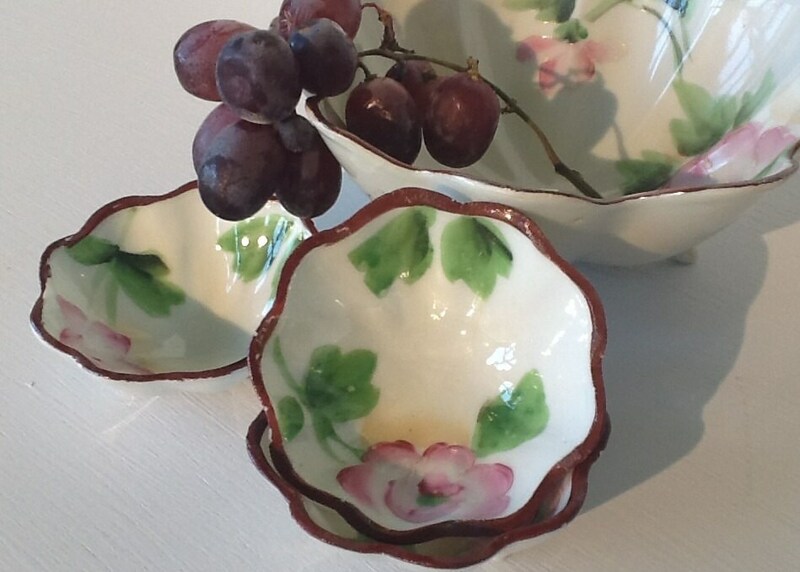 Painted with cherry blossoms and green leaves with a gentle peach wash in places on the inside. All four are trimmed with a burgundy colored paint on the rims. 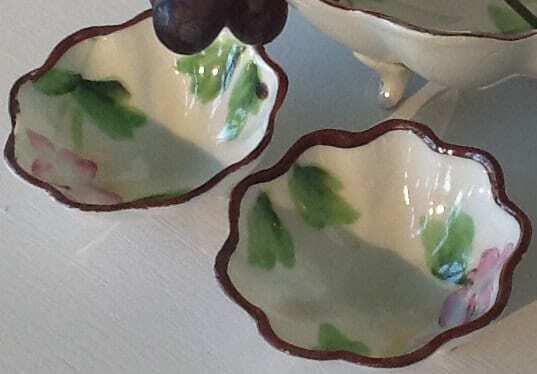 In total, there are 1 large and 3 smaller round bowls with scalloped edges and pedestal feet. All four are stamped Japan on bottom. Large bowl measures approx. 6" in diameter ~ small bowls measure about 3" in diameter. 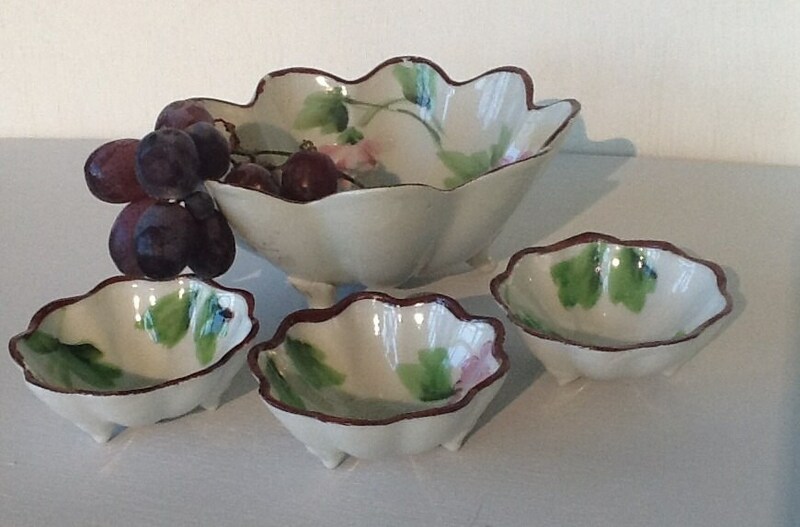 The bowls are in nice vintage condition. 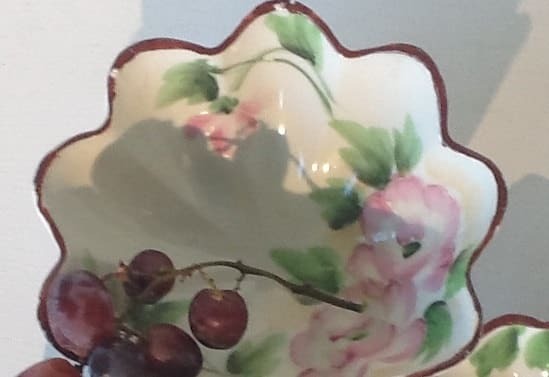 The large bowl has some breaks in the burgundy trim on the rim that I have shown in the photos and two of the smaller bowls show some wear on the burgundy trim. I believe these are from the 1930s to 1950s.